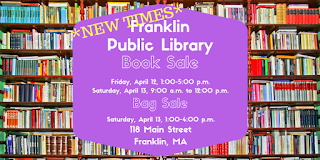 The Book Sale is scheduled for Friday, April 12, 1:00-5:00 PM. It will continue on Saturday, April 13, 9:00 AM to 12:00 PM. 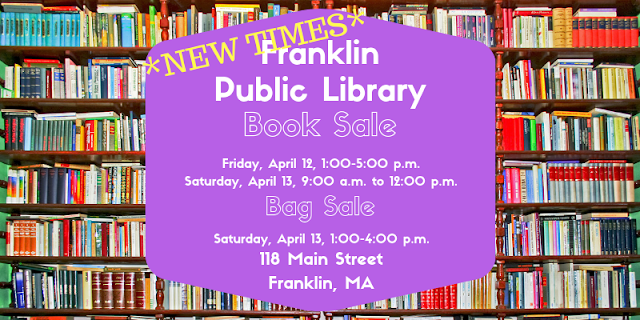 The Bag Sale will be 1:00-4:00 PM.